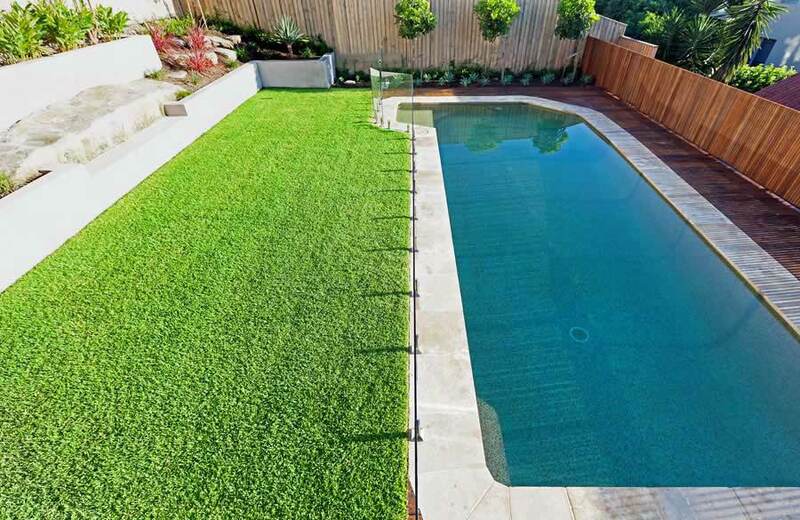 A backyard with limited lawn and an outdated pool was in desperate need for a pool and landscape renovation. 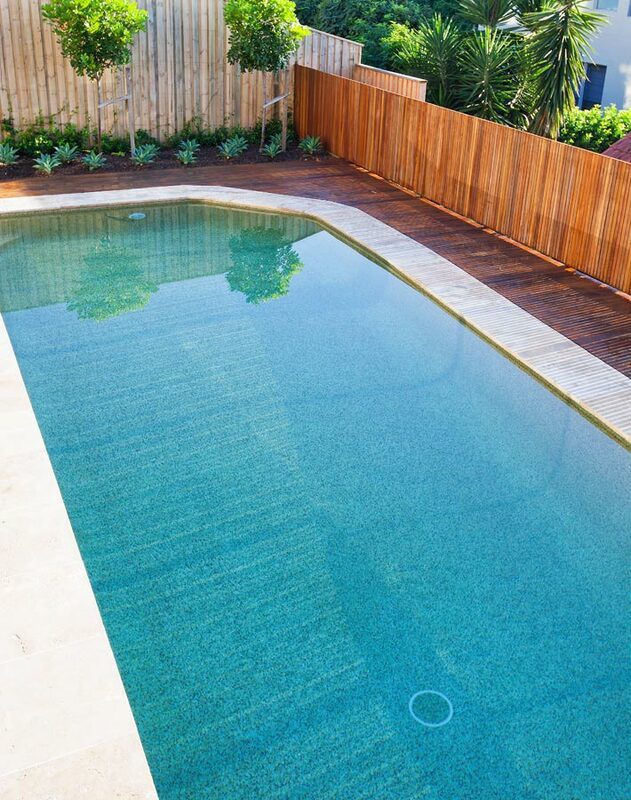 Out dated brick pavers were replaced with large travertine pavers and hardwood decking to increase the size of the swimming pool walkways. 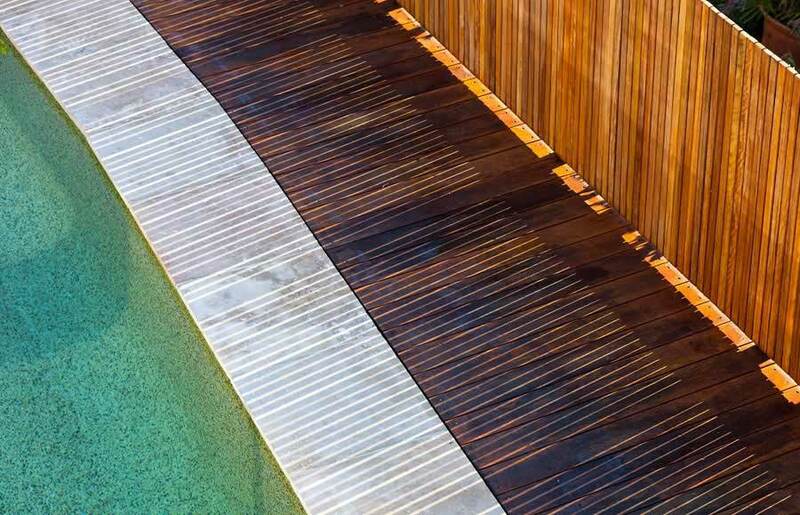 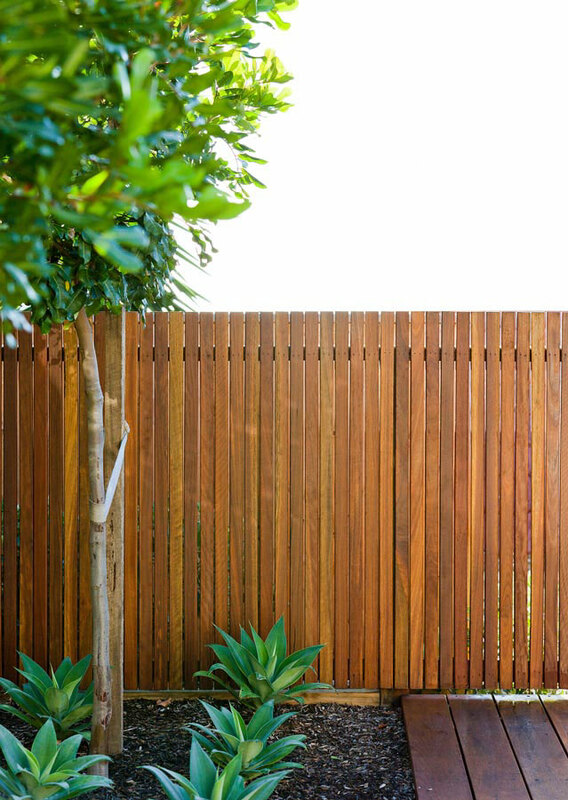 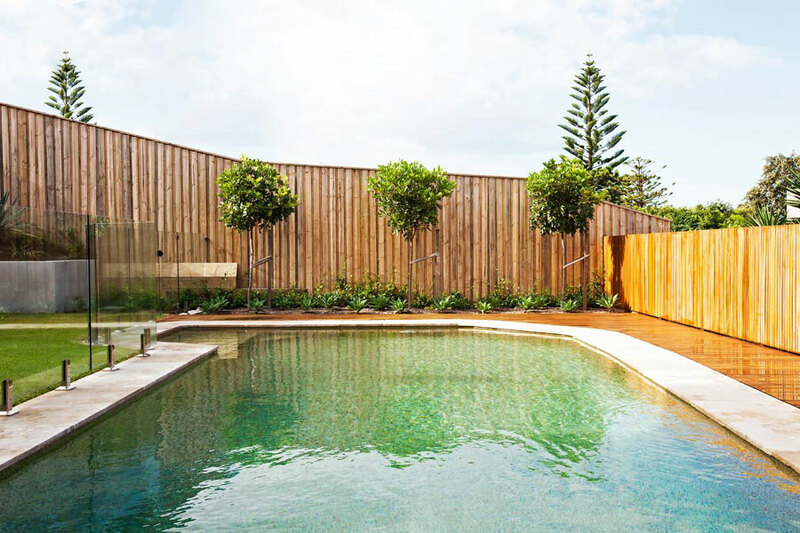 New vertical hardwood timber fence / screening were installed to add extra privacy to the pool area. 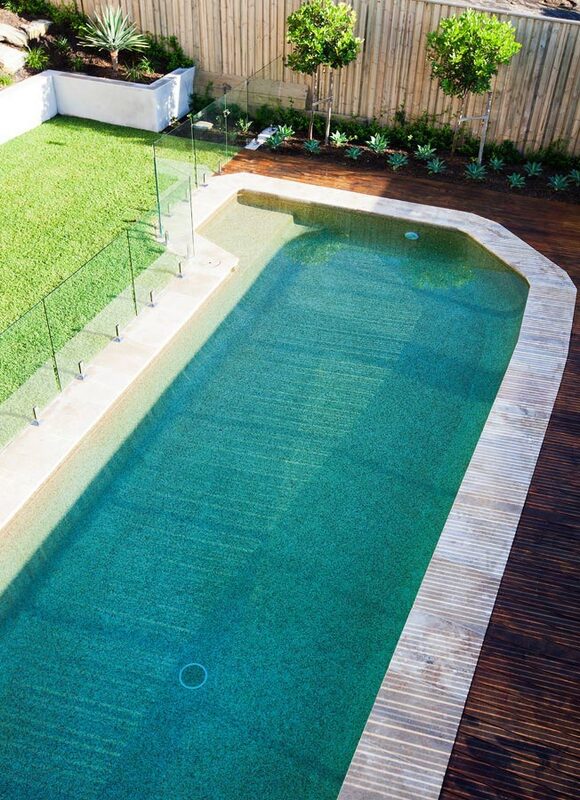 Glass fencing was added to the opposite side which has opened up the backyard. 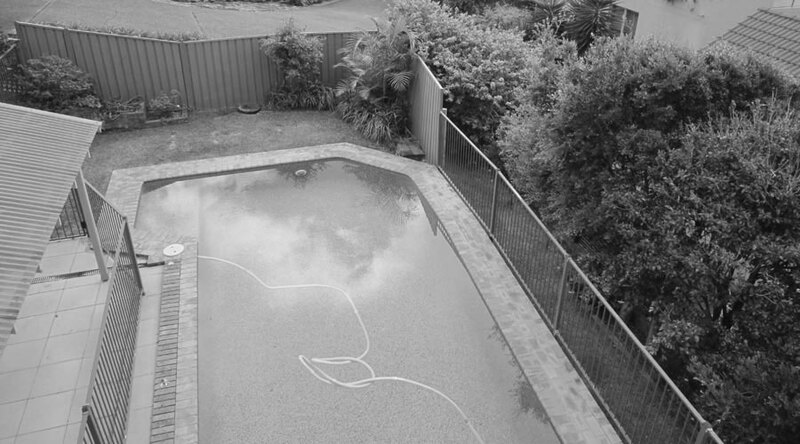 The unused covered area was removed making way for a new large lawn area which will be utilised by young children. 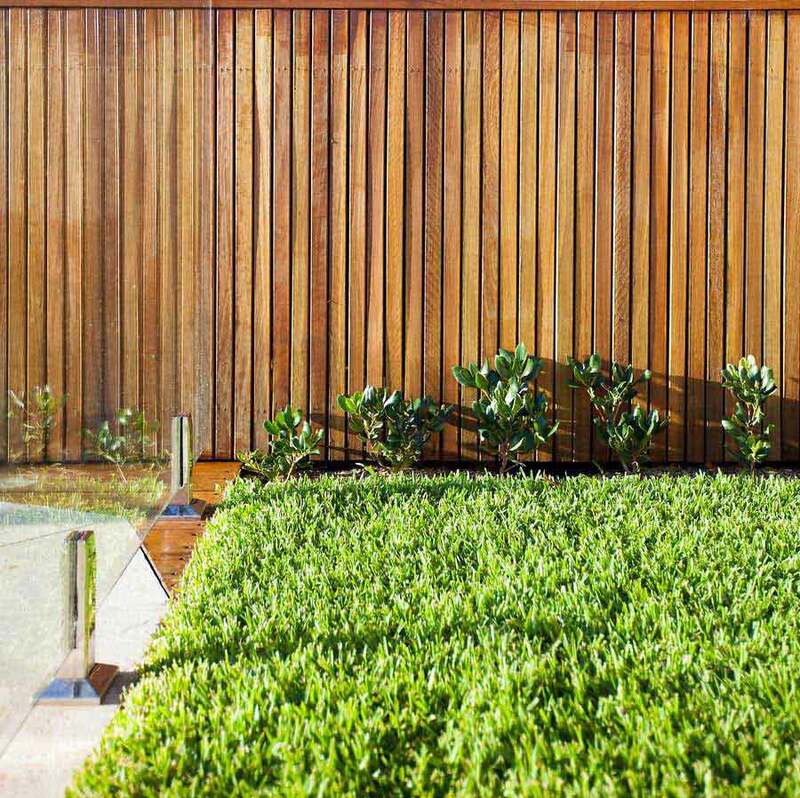 New block retaining walls were built around the lawn edges creating new garden beds. 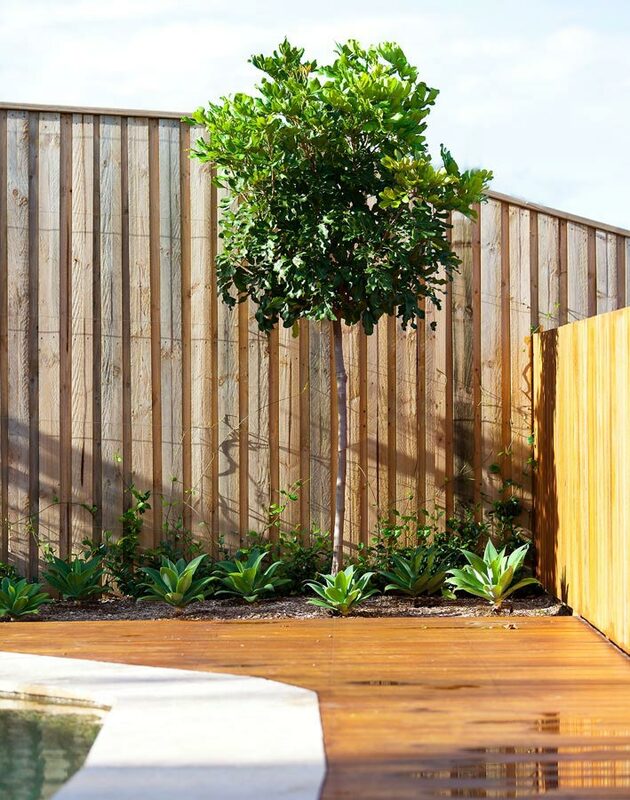 Low maintenance plants were selected while the rock out crop was retained adding a natural element to the backyard pool and landscape design.